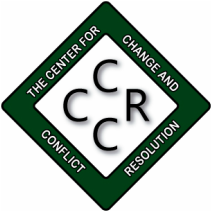 Nancy founded The Center for Change and Conflict Resolution (CCCR) in 1995, and as President of CCCR, she provides consulting, counseling and conflict management services. She consults and facilitates groups locally, nationally and internationally with an emphasis of capacity building for individuals and organizations. Nancy’s areas of expertise include effective communication, conflict management and diversity, change management and organization development. Nancy is a former Assistant Dean for Organization Development & Diversity Initiatives in the College of Education & Human Development and a former Director for Climate Enhancement Initiatives for the Vice President for Diversity at Texas A&M University. She currently works part time as a Clinical Professor in the Department of Education Administration & Human Resource Development. Nancy has a Ph.D. in Educational Psychology, is a Licensed Professional Counselor, a Member of the Association for Conflict Resolution Academy of Advanced Practioners, a Fellow in the American Psychotherapy Association, a Certified Daring Way™ Facilitator - Clinician (CDWF), and a TMCA Credentialed Distinguished Mediator. Dr. Watson’s overarching professional commitment is to support individuals and organizations in honing their power to accomplish their personal and professional goals!